Beginning on October 10, La Fura dels Baus will present the opera Siegfried in Asia at the National Taichung Theater, in Taiwan. 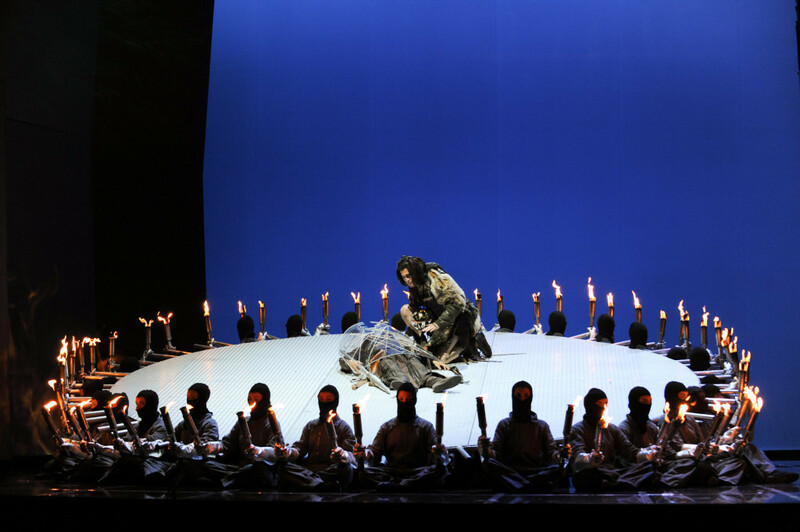 The director Carlus Padrissa conceived a mediterranean and multimedia vision of light and color for this third part of Wagner‘s tetralogy: Der Ring des Nibelungen, which premiered in 2008 at the Palau de les Arts in Valencia. This furan opera presents Siegfried as a man in a permanent state of combustion that pursues the ideal of justice for all. To dramatize this myth, La Fura reconstructs a living space with video projections in three dimensions, moving elements (like a dragon of eleven meters), acrobats, fire and glass floors that reflect the duality of the character. The staging of Wagner’s tetralogy is developed with a global reading: matching elements with all its parts and a plan to be surprise in each. A floor made of crystals and mirrors that reflect the duality of Siegfried. A man who does not know who he is. The idealist who defends his people, even without reason. This version is a journey full of light, where one can not go in rationality, but with the heart. Siegfried is directed by Carlus Padrissa and coproduced by the Palau de les Arts Reina Sofia in Valencia and the Maggio Musicale in Florence. This work is part of the entire tetraology, also including Das Rheingold, Die Walküre and Götterdämerung. In total 3 opportunities to see this show: April 10, 12, 14. Tickets can be purchased through the website of National Taichung Theater.